I have worked with PSNA since 2008 -- first as Director of Communications and now as Chief of Staff. 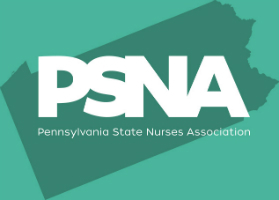 My responsibilities include association management, social media management, event planning, production of "Pennsylvania Nurse," and marketing oversight. While at Lebanon Valley College (LVC), I interned with the PA Attorney General’s press office and LVC Office of College Relations. Prior to PSNA, I headed the production department of an international publishing company. My ideal weekend would include a trip to Manhattan to indulge in a slice of authentic NYC pizza and a Broadway show.